FINEST IN THE LAND: Many people say Pasteis de Belem, in Lisbon, makes the best custard tarts because it has the original recipe and a secret ingredient. 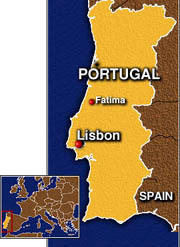 LISBON, PORTUGAL — You'd have a better chance of outlawing wine in Paris than of separating the Lisboans from their beloved pasteis de nata, delicious custard tarts that can be consumed in two or three bites. Particularly revered are those made from a mysterious secret recipe at the Pasteis de Belem, a bakery and coffeehouse in the southwest section of the city. Here, the little tarts are spoken of in hushed tones. Rightfully so, because the recipe goes back almost 200 years to the nuns who baked the pastries at the nearby Jeronimos Monastery. During the 1820 revolution, many religious orders were forced to disband. Money talked during those hard times, and the recipe was sold to a confectioner. Today, that same recipe is perhaps the most closely guarded secret in Portuguese cuisine, allegedly known to only a precious few at the Pasteis de Belem. Actually, one can buy the custard tarts everywhere in Portugal — throughout the world, for that matter — in any Portuguese bakery or restaurant, where they are officially known as pasteis de nata. But only at the Pasteis de Belem do you get the original monastery special. 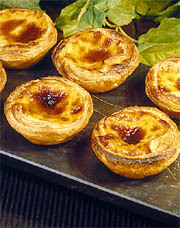 In fact, they're called pasteis de Belem here. Pasteis de nata is for the rest of the world. Is it pure hype? Not to the Portuguese. When I merely mentioned the words pasteis de Belem to a taxi driver he looked skyward and thumped his chest. A translation wasn't necessary. "If you put 20 pasteis de nata in front of me and only one was a pasteis de Belem, I could pick it out," said my guide, Priscilla. A number of other residents I talked with also were confident they could pass a "blind tasting" of the tarts. "I'm terrible," she said. "Whenever I go there I eat six or seven at a time. I can't resist." I sampled a couple of the "originals" with Priscilla at the coffee shop. They were very good, but I don't recall them tasting much different from those I occasionally buy at one of the Portuguese bakeries back home. But then, I eat no more than three or four a year, so whom are you going to believe — me or the woman who eats seven at a time? 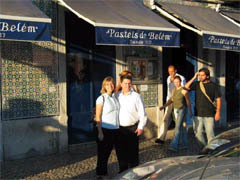 The Pasteis de Belem sells from 8,000 to 14,000 tarts a day at 75 cents each. There is no other place in Portugal — or the world — where you can buy the original version. Just how the recipe has remained a secret since 1820 is as mysterious as the recipe itself. The general opinion is that only three or four people in the family-owned business know the "secret ingredient," and all of the bakers who have worked there knew just bits and pieces. Some say the difference is in the filling; others are sure it's the shell. 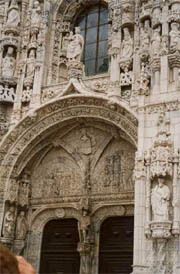 Regardless, people come here from all over Portugal, as though on a pilgrimage, to get their fill. On the day I was there, at least 25 people were waiting for tables, and the pastry counter was three-deep. But as with any subject, if you ask enough questions and listen long enough, you'll eventually hear another side of the story. 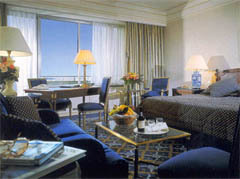 We did, when we spoke with Paulo Dias, who prepares pasteis de nata at the Ritz Four Seasons Hotel in Lisbon. "I like mine better," Paulo said with a shrug. Those four words uttered by anyone other than a professional baker might be considered almost-treasonous in Lisbon. "But then I guess I'm a little biased," he concedes. Asked if he thinks there actually is a mystery recipe at Pasteis de Belem, he responded again with a shrug. And he didn't hesitate to give his ingredients: flour, salt, water, margarine, butter, lard, sugar, milk, egg yolks, and cinnamon. "You bake them for only five or six minutes," Paulo said, and then added with a sly smile, "But I have my own way of mixing the ingredients." Mysteries seem to abound in Portuguese cuisine. Chefs here claim to have 365 different recipes for codfish, and more than 20 ways to cook a steak. Sometimes, these delicious mysteries are carried to the shores of North America. How did he make that? There is a tiny Portuguese rotisserie in my hometown of Montreal, for example, that's owned by a man affectionately known as the "Chicken Nazi." The nickname was inspired by the "Soup Nazi" character on the "Seinfeld" TV series. He has two hard-and-fast rules: You must order your takeout chicken at least four hours ahead. Don't arrive more than 15 minutes early or you will be greeted with a frown. The Chicken Nazi speaks only Portuguese, but he can understand "chicken" and the time of day in many languages. And despite the fact that there are numerous places nearby where one can simply drop in on the spur of the moment and purchase a cooked chicken, he continues to have more customers than chickens. None of us knows what he does to the chicken to make it taste so good, and he prepares it right before our very eyes, but we continue to follow his rules. Scientists using the most advanced DNA techniques could possibly unravel all of these mysteries, beginning with the classic case of the pasteis de Belem. But then again, perhaps some mysteries are better left unsolved.